Designer journal with fine cut white cotton papers. Hand sewn with Coptic binding. 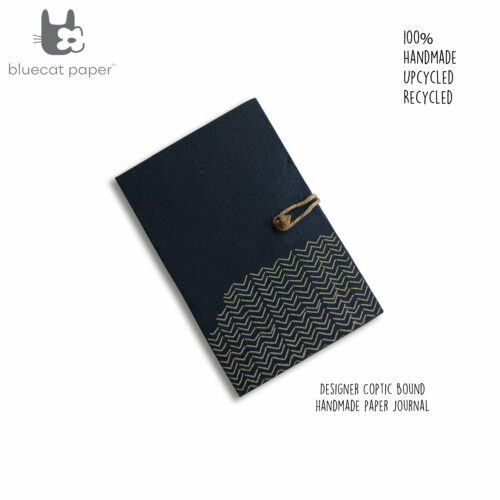 A wraparound dark grey paper jacket, with an attractive binding option. 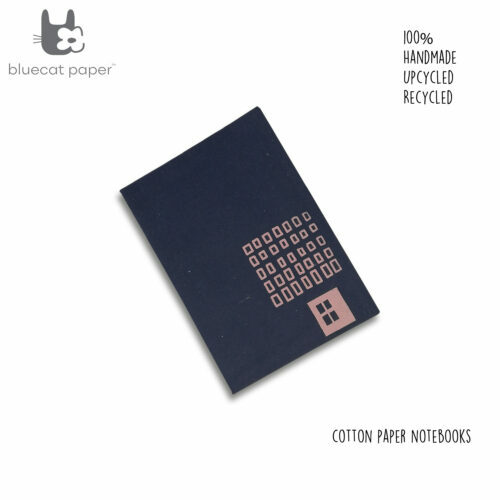 Coptic bind journal with dark grey jacket, off-white lines print, white papers. 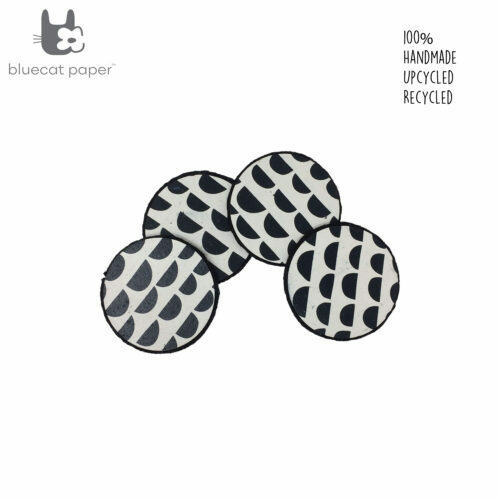 These white cotton papers are fine cut. Handmade papers and white linen wax thread. A5 size, 21 x 15 cm (H x L), 160 pages.